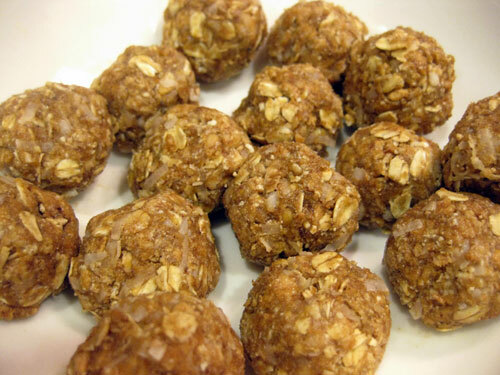 Everyone loves crunchy peanut butter, so why not crunchy peanut butter balls? *These oats can be substituted for your favorites, but we recommend those for the best flavor. The millet is what gives the balls their crunch. Mix Tru-Nut and agave nectar together in a bowl until peanut butter is made. Add the oats and mix well until they are thoroughly distributed. Break into individual balls and eat. If refrigerated, must be eaten within a few days.